Our goal is to improve your life through better hearing. Read about our practice and discover the ways we can help your hearing. Experienced audiologists dedicated to your hearing health. 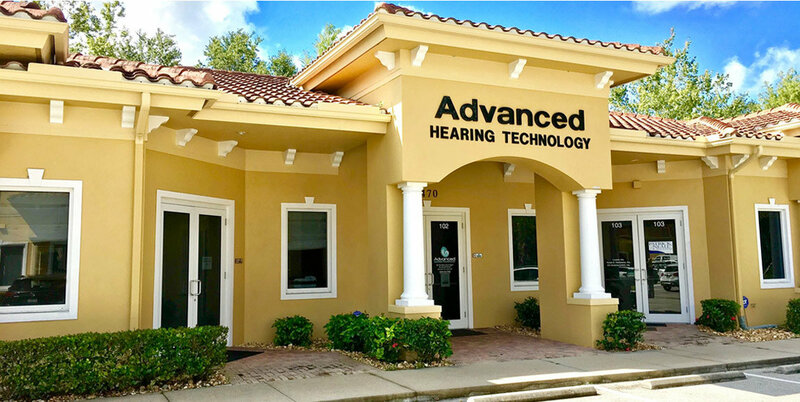 At Advanced Hearing Technology, our goal is to provide Naples, Bonita Springs, Estero and the surrounding areas of Southwest Florida with the best possible hearing care, based upon your individual needs. We provide a comprehensive array of services related to evaluation, rehabilitation and prevention of hearing impairment. These services include comprehensive hearing evaluations, specialized diagnostic testing, and industrial hearing screenings. Choosing a hearing professional is one of the most important decisions a hearing impaired person can make. Since a hearing aid cannot be prescribed like eye glasses, proper hearing aid recommendation and fitting is highly dependent on the judgment and skill of the professional selecting the instrument. We test your hearing, select and dispense the hearing instrument that best meets your needs, in addition to providing support, counseling and service of the hearing system. We are concerned about the person and make hearing solution recommendations to fit your lifestyle and personal needs. Protecting your hearing can make a big difference. We can help you protect your hearing from further deterioration through education about what affects your hearing, as well as the proper use and care of hearing protection devices. Schedule an appointment with our audiologists today and let us get you on the path to better hearing!